The Northeast Alberta Region is not only a beautiful part of Canada, but it is also a great place to start an Agrifood business. This toolkit will provide you with the data and resources to make a truly informed decision about the location of your future Agrifood business, or the expansion of your existing enterprise. 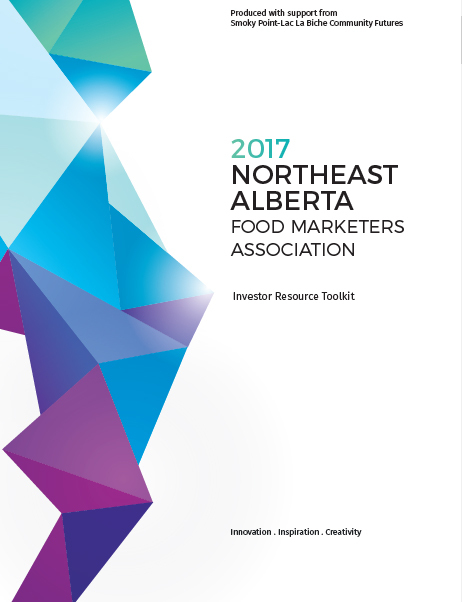 This Toolkit provides business owners with access to information and resources that facilitate new investments and business growth in the Agrifoods sector in Northeast Alberta. You can navigate to any section of the Toolkit using the navigation menu on the right hand side of every page. We’ve organized the information to get you targeted in on what you need for your business. You can read through it, in order, from the beginning, or jump around from any page in order to view the information of greatest interest to you! Get Started - Open the Toolkit Now! Not only can we help you get your Agrifood business started, but we can help you grow and thrive in one of the most actively expanding markets in North America. Start getting advice right away with an appointment to speak with a real person and find how you can maximize your investment in the Agrifood industry here in Northeast Alberta. Do you already have a community and/or location in mind? Let us help facilitate direct contact to a local Economic Development Officer who can guide you through the start up process. Formatted for plain paper so you can create the hard copy right on your own printer, this PDF download features the highlights of our Toolkit including data, statistics and resources. For all available information, please continue with the online version.